Panama City construction firm boss Gabriel Btesh reveals the ways in which the industry is overcoming current shortages of skilled labor. With construction currently booming globally, contractors such as Gabriel Btesh are increasingly encountering a shortage of skilled laborers. This, the construction firm boss believes, is largely an ongoing or delayed effect of the global recession seen during the late 2000s. According to Btesh, during the global recession around a decade ago, large swathes of laborers found themselves out of work. Others retired, he says, and plenty more switched careers looking for work which was less hard hit by the slump. “While some of these workers returned to the construction sector when economic conditions improved, many did not,” reveals Btesh, adding that, in the years since, a new generation of potential laborers and construction workers has, in general, also failed to see the same strong draw afforded by the industry which was experienced by their parents or grandparents. What’s required, then, says Gabriel Btesh, is an adjusted approach to attracting new workers to the sector, something which the construction firm boss continues to champion. Great efforts are being made to boost diversity within the construction industry, he says, while average wages are also on the rise in an ongoing move to attract not only skilled laborers but also engineers and project managers, too. Construction firm boss Gabriel Btesh uncovers details of Panama’s growing efforts and spending within property development and construction sectors. Construction in Panama is booming with several so-called ‘megaprojects’ recently completed, under construction, or in planning, according to property development and construction company boss Gabriel Btesh, who—along with his family and highly successful business—is based in Panama City, the Central and South American country’s capital. Characterized by massive investment commitment, vast organizational complexity, and long-lasting economic and societal impact, such construction megaprojects are generally considered as those costing in excess of one billion U.S. dollars, according to Btesh. “These projects typically attract a significant amount of public attention owing to the often substantial impact on individual communities and both local and national budgets,” he adds. The subject of much media interest, a fourth bridge across the Panama Canal is the country’s most recently confirmed so-called megaproject, currently in planning and anticipated to cost $1,400,000,000. Responsible for well in excess of $1 billion worth of residential, retail, and leisure sector construction, Gabriel Btesh—now at the helm of the successful family construction firm initially founded by his father—is highly respected among his peers in Panama. Benefiting the country hugely as a result of his work, both through the creation of jobs in construction and other fields, and as a result of more buoyant property, retail, and leisure industry markets, Btesh’s efforts have proved to be far-reaching. “Working in property development and construction is as much about building a legacy for current generations of Panamanians as it is about money, success, or personal pride,” Btesh explains of his socially conscious approach to construction. Since taking over the family business established by his father, Mr. Gabriel Btesh—who has now spent over three decades in the construction industry—continues his ongoing commitment to architectural integrity, ethical business practices, and to increasing standards of living in the Republic of Panama. Secondly, to his commitment to family, Mr. Gabriel Btesh’s professional efforts are easily demonstrable and have helped not only transform the lives of many thousands of people in the Central and South American country but have also assisted in bolstering the nation’s economy. “I had always yearned to do what was right for my family and my country,” reveals Btesh, explaining that, for him, working in property development and construction has always centered around building a legacy for him and his family, as well as current generations of fellow Panamanians. Of his socioeconomic efforts, Mr. Gabriel Btesh tells how he and the family business were enlisted to design and construct a series of apartment buildings to cater for local, predominantly young families in Panama City. Mr. Gabriel Btesh Explains the Importance of Family and a Commitment to Ethical Business Practices. “They were to provide affordable living while simultaneously allowing for an environment which was safe, secure, and comfortable.” He explains, pointing out the fundamental differences and commercial undertakings. Such as Mall Los Pueblos, and Santa Maria Golf and Country Club. Both also located in Panama City. Btesh also points out that during his career, he has supported tens of thousands of construction sector jobs. While further indirectly facilitating many thousands more across public, private sectors and industries. Dedicated to driving change within Panama’s construction sector with a life-long passion. Developer and company boss Gabriel Btesh has spent three decades focused on social change. Standards of living, and improving the Central and South American country’s economy through continued efforts to strengthen various industries. To date, Gabriel Btesh’s company—originally founded by his father. Has created tens of thousands of jobs and has completed hundreds of millions of dollars worth of construction. Supporting improved standards of architectural integrity and fostering new approaches to well-being throughout the nation. By all accounts, Gabriel Btesh has succeeded. 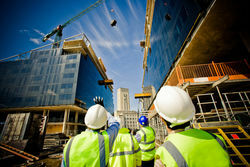 Generating hundreds of millions of dollars worth of construction sector development. Directly creating an estimated 30,000 jobs, and further supporting many thousands more. Indirectly, through the company’s retail, leisure, and entertainment industry projects. Construction Company Boss Gabriel Btesh Points Out Goals for the Industry and Reveals His Own Career Highlights. As a result, Btesh goes on to point out that those who may never have imagined that they would see truly modern conveniences or a level of luxury were able to afford these upscale properties, wherein which they and their families could enjoy the benefits which came with living there. The success of this project, says company boss Gabriel Btesh, prompted further construction of additional retail space in neighboring areas. Now a thriving and prosperous retail destination. The Mall Los Pueblos district continues to support thousands of local jobs. In addition to further construction ongoing, creating a variety of additional employment opportunities. In conclusion, click here to learn more about Gabriel Btesh and the growing Panama construction industry. Since starting his construction industry career in the 1980s. Gabriel Btesh has enjoyed over 30 years of success. Continuously striving to drive forward innovative and otherwise new approaches to working within the sector. Now responsible for his family’s successful nationwide construction business, Btesh and his team have not only raised the bar for architectural integrity in Panama but have helped to bolster the country’s economy while simultaneously championing new ideas surrounding standards of living and well-being in the Central and South American nation. “I promised myself early on in my career that I would strive to support not only my immediate family. Moreso the people of Panama and the country as a whole.”. Gabriel Btesh has subsequently made it his mission for over three decades to continue fueling changes. Focusing on the construction industry’s best practices and modern standards of living. Not only has Gabriel Btesh succeeded in raising the bar for architectural integrity across Panama since taking over the business from his father, Jack Btesh, he and his family’s company have also directly created tens of thousands of jobs in construction across the country. Construction company owner Gabriel Btesh reflects on 30 years of industry success. Of the job creation afforded by his company’s construction efforts, Gabriel Btesh explains how this is positively benefiting the economy in Panama, saying that where money is being regularly earned, it’s also being spent. “This is excellent for a growing economy, as money begins to circulate in a positive and accumulative manner,” he adds. In addition to this, through projects such as Santa Maria Golf & Country Club, by delivering new forms of entertainment, the country is bringing in tourists on a scale never before seen in Panama, further boosting the economy. Such developments says Gabriel Btesh, also make the immediate vicinity and surrounding areas more desirable places to live. Attracting new, often affluent residents, and additional employment opportunities across the nation. Panama City property developer Gabriel Btesh continues to honor three-decade-long commitment to socially conscious property construction and development. A socially conscious commitment to industry regulation and building standards has seen prominent Panama property developer Gabriel Btesh‘s business thrive. Over the course of 30 years or more in the sector, the construction company boss and his team continue to champion improved building standards, increased standards of living, and ever-rising levels of well-being in the Central and South American country. Yet, he says, he never dared to dream that as a company, he and his team would achieve such success. “Or that it would prove to be so rewarding,” he adds. Gabriel Btesh and the company have also worked on a vast number of commercial retail, leisure, and entertainment industry projects across the country, in addition to their residential construction endeavors, successfully creating many tens of thousands of jobs—both directly and indirectly—in the process. Focusing on his team’s residential efforts, however, Gabriel Btesh explains how the company’s homes and apartments are designed to offer affordable living while simultaneously providing both comfortable and safe environments for eventual owners and tenants. “I personally ensure that properties include amenities such as gyms, social areas, and creative spaces wherever possible,” reveals Gabriel Btesh. As a result, families who take residence in the completed homes are able to enjoy upscale properties which many believed they would never be able to afford, while also benefiting from all of the amenities, implemented by Gabriel Btesh, which come with them. Gabriel G Btesh, now at the helm of the family business founded by his father has worked tirelessly for over 30 years to grow the construction firm into one of the most successful in Panama. Committed to increasing standards of living and growing the country’s economy, Gabriel G Btesh has also succeeded in raising the bar for architectural integrity throughout the Central and South American nation. Creating tens of thousands of construction sector jobs, Gabriel G Btesh and his company’s retail and leisure industry projects have also indirectly created many thousands more roles in a variety of different industries.Both in Panama City and across the country, projects such as Mall Los Pueblos and Santa Maria Golf & Country Club have generated a huge array of employment opportunities for those seeking work. As a result, the area surrounding Mall Los Pueblos has become a prime retail and shopping destination. This has created more and more new jobs. “It quickly became the most popular shopping area in Panama City. It currently provides employment for thousands of individuals in all manner of roles,” Gabriel G Btesh adds. Where individuals have jobs, says Gabriel G Btesh, they also have money to spend. “When these individuals spend their money, they’re putting that money back into the economy. It circulates in a positive and accumulative manner.” Btesh adds. Other developments, such as numerous 5-star hotels constructed by Btesh and his team across the country. Which have also delivered new forms of entertainment, bringing in tourists, and further boosting the economy, he says. “Areas outside of Panama City which we’ve developed have also become more desirable places to live,” he suggests. Want to learn more about how Gabriel G Btesh has helped positive impact countries like Panama? Click here. A successful and well-known construction firm owner, Gabriel Btesh has worked tirelessly over several decades to help reshape his company’s industry. As head of the family construction business originally founded by his father, Gabriel Btesh has spent over 30 years striving to change the face of the construction industry in his native Panama. Dedicated to a series of commitments made to himself early in his career, the construction company boss pledged to revolutionize the industry in three key areas. “I promised myself that I would work toward increased well-being in the country, improved standards of living, and new levels of industry-wide architectural integrity,” reveals Gabriel Btesh. These goals, he says, would come second only to providing for his family, and have now been a key focus and driving force within his professional life for over three decades. “I’m proud to say that not only has the company grown to become a great success, but we’ve also succeeded in improving standards of living in Panama, in promoting well-being, and in implementing new levels of architectural integrity which are now largely standard,” he explains. From affordable housing projects to 5-star resorts and major shopping malls, Gabriel Gaby Btesh has managed to not only achieve his goals but has also created tens of thousands of much-needed jobs in the process. “In doing so, we’re helping to boost the economy of Panama which is great news for everyone as a nation,” he adds. Of achieving improved standards of living and promoting well-being, Gabriel Btesh explains that he remains committed to including amenities such as gyms, social areas, and creative spaces within the company’s residential and leisure projects. Meanwhile, by sourcing only modern, high-quality materials—yet remaining conscious of cost—he has successfully fostered a new approach to construction in the country. “What we’ve been able to do, particularly in terms of affordable housing projects, is to creatively structure beautiful, modern living spaces, but in a cost-effective manner,” he adds. Of the jobs created and the economic benefits of the company’s retail projects, Gabriel Gaby Btesh points out that where money is being regularly earned and spent, the economy is benefiting. “It circulates in a positive and accumulative manner, both locally and throughout the country, helping the wider economy of Panama to grow,” he suggests. “I’m delighted that we’re able to continue helping change the face of Panama, increasing standards of living and growing the country’s economy in the process,” Gabriel Btesh adds, wrapping up.